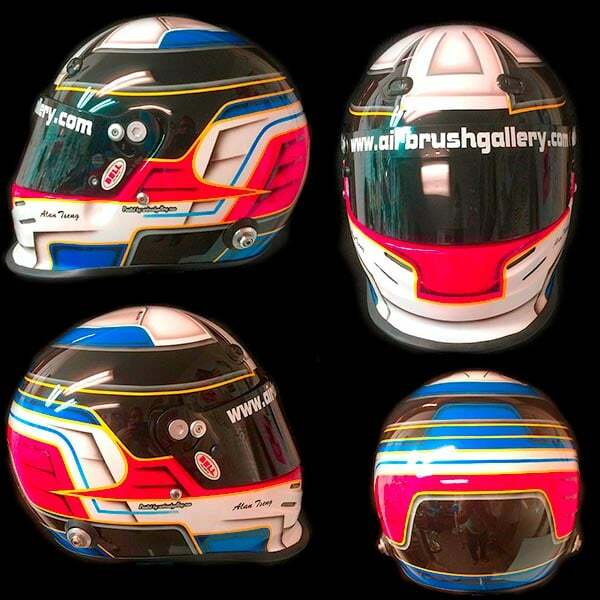 Race helmet design 48 is a Bell GP3 race helmet designed and painted for Alan Tseng by helmet painter Don Johnson. Working closely with Alan I came up with the perfect race helmet design that included everything he was looking for in a design. The colors he wanted where red, yellow, black, white with just a bit if blue. The design just flows nicely with the contours of the helmet and came out looking perfect for that race helmet. Contact Me today to get started on your race helmet. I’m an authorized retailer for Bell race helmets Contact Me today before you buy your next Bell race helmet. LIke This Helmet Please Share With Friends , Choose Your Platform!